Environment Protection and Biodiversity Conservation Act 1999 – Administered by the Commonwealth Department of Sustainability, Environment, Water, Population and Communities. We are committed to providing quality customer service at our airport. Gold Coast Airport participates in the Airports Council International (ACI) Airport Service Quality (ASQ) benchmarking program. It is a regulatory requirement that Gold Coast Airport presents customer feedback to the public. This program is also used by Gold Coast Airport to track performance of specific criteria against investments made in improving services. The ACI ASQ aims to be the world’s best airport customer service analysis and benchmarking program. ASQ monitors the opinions of thousands of passengers at departure gates around the world. The survey is conducted year-round and is based on a standard questionnaire that covers 31 key service items. Gold Coast Airport participates in the ASQ research because it offers a world benchmark and best practice in monitoring service quality. ASQ is a benchmarking tool for airports to test customer satisfaction levels across a range of services and operations. The program has more than 300 airports participating and is designed for airports which require regularly updated information on their service performance for operational and strategic decision-making. More than half of the world’s top 100 airports participate in ASQ. Every month, at all participating airports, departing passengers are interviewed about their on-the-day experience. All airports use the same questionnaire and methodology. Every year, over 500,000 passengers are interviewed for the ASQ Survey. The program offers quarterly results providing insight and comparisons with service performance of airports all over the world. 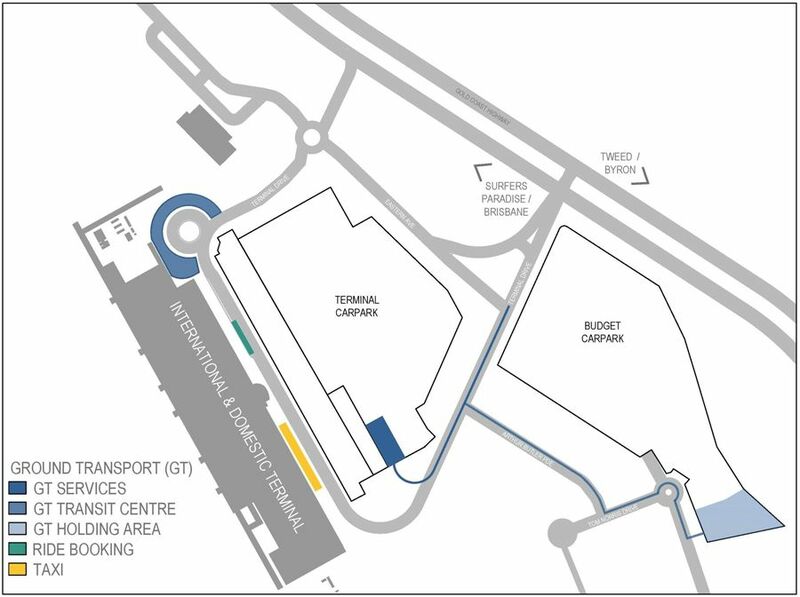 Gold Coast Airport is situated on a coastal plain less than a kilometre from the Pacific Ocean, bordered by Cobaki Broadwater to the south and west and Currumbin Hill to the north. The site contains areas of environmental and cultural value, and the airport has a responsibility to ensure its operation and development is managed in an environmentally responsible manner. This is managed under the Gold Coast Airport environment strategy which forms part of the airport’s Master Plan. In January 2017, Gold Coast Airport achieved Level 1 accreditation under the Airports Council International’s Airport Carbon Accreditation program – the only independent global standard for carbon management at airports. This level of accreditation, ‘Mapping’, requires an airport to collect independently verified data relating to its carbon emissions. For further information regarding the Airport Carbon Accreditation program please visit the website here. Gold Coast Airport operates under the Commonwealth Airports Act 1996 and Airports (Environmental Protection) Regulations 1997 which is administered by the Commonwealth Department of Infrastructure, Regional Development and Cities. Per-and poly-fluorinated alkyl substances (PFAS) is a term used to describe a wide array of fluorinated substances including perfluorooctane sulfonate (PFOS) and perfluorooctanoic acid (PFOA). PFAS and their derivatives are man-made chemicals and have been used in a wide range of industrial processes and consumer products, including metal plating, in the manufacture of non-stick cookware, specialised garments and textiles, products used to protect fabric, furniture, and carpets from stains and in some types of fire-fighting foams including those historically used by Airservices Australia (Airservices). While the management of PFAS is evolving and the science as to the risks posed by PFAS is not settled, research has found that PFAS are persistent and some forms bio accumulate in the environment. Federal government agencies have historically used firefighting foams containing PFAS at sites around the country, including Airservices at Gold Coast Airport. Management of PFAS presence on-airport is being undertaken in line with the PFAS National Environmental Management Plan (NEMP). The NEMP provides a risk-based national framework designed to achieve a consistent approach to the management of PFAS contamination. A range of PFAS investigations have been conducted at and around Gold Coast Airport conducted by Airservices, Gold Coast Airport and relevant State and Local Government agencies. A link to Airservices web page containing the Preliminary Site Investigation Report, Preliminary Sampling Report, Cobaki Broadwater Aquatic Biota Sampling Report and report on Further Groundwater and Surface Water investigations undertaken in 2017 for Gold Coast Airport is provided below. We respect and understand the concerns raised regarding PFAS contamination, and together with Airservices will continue to engage with relevant stakeholders, including regulatory agencies and the community, on this issue. Given the persistent nature of PFAS, it is expected that associated management will be a long-term process in collaboration with Airservices and regulatory agencies and will evolve as the NEMP and other guidance materials are updated by State and Federal governments. Gold Coast Airport encourages all community members interested in the management of PFAS at the airport to regularly check this web page for further updates. Also, Airservices has established an email address to receive and respond to community PFAS enquiries. Gold Coast Airport wants to ensure that customers are able to travel as comfortably and hassle-free as possible, including passengers and guests with a disability. An Accessibility Guide has been produced for Gold Coast Airport and details the services and facilities available for our passengers with accessibility requirements. Gold Coast Airport charges effective until 30 June 2019, are as follows (all prices are exclusive of GST). Gold Coast Airport charges effective from 1 July 2019, are as follows (all prices are exclusive of GST). Charged per passenger for embarking/disembarking passengers, as per above table. Charged per MTOW for landings only, when passengers do NOT embark/disembark, at $16.50 + gst per MTOW. New charges from 1 July 2017 (exclusive of GST).